Lord of the Rings director Peter Jackson will begin a remake of the classic film King Kong in New Zealand later this year. Jackson aims to have the £70m (NZ$200m, US$110m) film ready for release in 2005, Universal Studios said in a statement on Tuesday. Shooting is expected to begin by the middle of 2004. 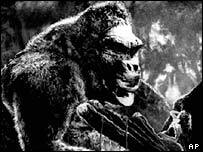 Should King Kong be re-made again? "I'm making movies today because I saw this film when I was nine years old," Jackson said. "It has been my sustained dream to reinterpret this classic story for a new age." The screenplay is based on the Edgar Wallace and Merian C Cooper story of a love affair between a giant gorilla and a beautiful woman, used for the original 1933 RKO Radio Pictures film. Jackson is currently putting the finishing touches to the final film in his Lord of The Rings trilogy, The Return Of The King, which is due for worldwide release before Christmas. 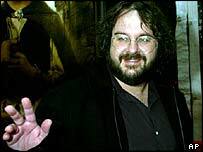 He will team up with Rings writing partners Fran Walsh and Philippa Boyens for the film, and promised his computer-generated King Kong would be as real as the wretched Gollum in The Two Towers. "King Kong had a profound effect on me," he told Tuesday's edition of Wellington newspaper The Dominion Post. "It changed my life, it literally made me want to become a film-maker. It got me really excited about the magic of film, the escapism of film and special effects." Jackson said he would shoot at various locations in New Zealand, although the final act - originally set in New York - would be built in Wellington because of the cost of filming in Manhattan. "We'll just find some flat land and build a big back block set of New York streets and then use our computers to extend the buildings, make the streets longer and the buildings higher," he said. "It may just be a field somewhere on someone's farmland." He added the lead female role - filled by Fay Wray in 1933 - will need strong vocal chords, as the part required a lot of screaming. The film will be at least the second Hollywood King Kong remake, following on from John Guillermin's 1976 version starring Jessica Lange. 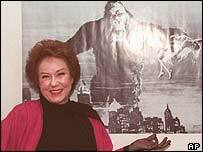 There have also been at least two unofficial Indian King Kong films, and a 1960s US TV cartoon.